With most major political parties in favour of scrapping urban growth boundaries, land use regulations have captured a fair number of headlines over the past few weeks. And well they should. The economic literature is pretty clear on what happens when you restrict the supply of land for housing in a growing city: prices will rise. This applies not only to rules that prevent cities from spreading outwards, but rules that stop cities from growing upwards. 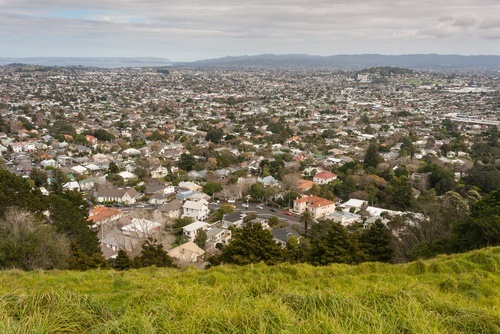 And we can expect the public’s focus to shift to height limits as the Independent Hearings Panel files its recommendations on the Auckland Unitary Plan later in July. What these recommendations are, and how they will change the existing height limits that apply to Auckland inner city suburbs, is uncertain. What we can be a little more certain about is the effects of maintaining the status quo, thanks to work by the Grattan Institute. The think tank’s research found an alarming disparity in Australia, where the bulk of job creation was happening in inner cities, but most of the housing development was taking place at the edge. The former was happening because modern economies are increasingly being dominated by the service sector, which tends to value inner city proximity. The latter was a result of restrictive land-use policies that prevented development in the inner city suburbs, instead pushing housing construction to the fringes of the city. The effect is that people who stand to gain the greatest benefit from access to the inner city – younger generations – are moving farther out where housing is cheaper. The long commute into the city, particularly on public transport, restricts their access to economic opportunities. This is especially acute for those with young families. The Institute found that many households choose to have one parent drop out of the workforce because juggling a job and childcare commitments was too hard. The winners in this equation are those who already own property in the inner suburbs, mostly older generations. Restrictive land-use regulations have severely constrained the supply of housing in most Australasian cities, pushing prices up. It is, in effect, a massive wealth transfer from the young to the old. There is a generation emerging in Australia that will have less wealth than their parents once fiscal deficits and asset values are factored in, according to the Institute. This cycle is not only bad for individuals, but has broader economic and societal implications as well. It is well recognised that cities are the growth engines of modern economies, but restrictive land use policies that widen the gap between where young people live and work will cause that engine to sputter. At the same time, this poorer generation will be asked to shoulder the tax burden as the older generation moves into retirement. Australia steals our best ideas – let’s not borrow one of their bad ones. Regulations that limit the stock of housing suitable for younger people, such as height restrictions and view shafts, need to be axed and pronto. The Grattan Institute’s research does not diminish the need to free up land for housing at the edge of cities. It in fact necessitates it. Many people are prepared to voluntarily accept the trade-offs of living in suburbia, and eliminating the urban-rural boundary is needed to reduce the regulatory gains currently being captured by land bankers. What it does highlight is the need to free up land markets from unnecessary regulations which limit their efficiency and impose undue costs on one generation while rewarding another. In short, cities need to be freed from rules that prevent them from growing up and out. *Jason Krupp is a Research Fellow at The New Zealand Initiative and spokesperson on housing, Alex Voutratzis is Director of Policy and Advocacy at Property Council New Zealand. Given up on the Arctic "death spiral" Truthie - and moved back to peak oil? I can see why. What happened to the breathess daily arctic ice updates? I didn't mention the meltdown of the Arctic because, in the context of the article, unavailability of oil will hit much earlier than sea level rise and will cause the first round of mayhem. And, with respect to planetary overheating and sea level rise etc., anyone who has failed to 'get it' by now (such as you) will obviously never 'get it' -well not until the tide starts lapping across the front lawn, or whatever. Nevertheless, the Arctic meltdown continues at a phenomenal pace; currently ice cover is about 5,000 km2 below the record-breaking year of 2012. Whether the September melt will exceed that of 2012 has always been uncertain but we don't have too many weeks for the answer to be revealed. Why you keep posting the irrelevant temperature graph beats me. As discussed on numerous occasions, the temperature will not change significantly until all the ice has gone (enthalpy of phase change, which you seem to not understand) .....and then watch temperatures surge! This jump in atmospheric CO2 can never be remedied and sets up conditions for even faster planetary meltdown, of course. At 4 ppm above a year ago, it is bound to set even higher records in the very near future, and the so-called 'safe' level of 450 ppm will be breached long before 2030. I know it's your 'hobby' to deny reality and adopt a stance of 'who cares about the next generation?' You are not alone in having such attitudes: the government of NZ clearly shares your attitudes. Arctic temps sitting on the 58-16 average are normal not "the Arctic meltdown continues at a phenomenal pace". Ice volumes sitting on the 04-13 average even in an El Nino year is boring not "phenomenal" but like all good doomsters you will move on to your next scare. Must be exciting for you always being on the cusp of doom. Not 'on the cusp of doom', profile, just moving inexorably towards it, as has been the case since the early 1970s -when all the factors that would result in 'doom' were clearly identified. Actual doom, in the sense of collapse of current financial-economic-social arrangements, will arrive over the period 2020 to 2030 for most people, though if you happened to be living in Syria or one of a number of other places it arrived several years ago. Obviously dense areas use much less oil per capita than sprawl and rural areas, so high rise should be a good thing compared to other forms of housing. The volcanic cones of Auckland are a crucial aspect of the city's beauty. It would be an act of utter vandalism to just block them out with high rises for the homeless. This ranks alongside Stalin's proposal to demolish Saint Basil's Cathedral or Mao's destruction of Beijing's wall or even the Taliban's destruction of the Buddhas of Bamiyan . the coast line of auckland should be covered with high rise buildings like all modern cities of the world, it is money and contacts that stops in happening. London has restrictive sightlines why not Auckland? There is no need for Auckland to look like Manhattan or Hong Kong. London is in a flood zone and there are a lot of historic buildings that are protected and can't be just knocked down to make way for a high rise. Auckland lacks that historic advantage so it would be more sensible to build up. You can't build a skyscraper and block the view to Tower Bridge or Saint Paul's. It's not about flood zones or knocking down buildings, it's about aesthetics. That's not really true. There are specific corrodors of view that must be maintained in London for St Pauls. But think of all the other tall buildings they've recently put in. The shard, walkie talkie, gherkin, cheese grater...can't tell me those aren't big and don't block someones previous view of St Pauls or tower bridge. It doesn't mean every little window with a view of St Pauls gets to keep it forever. Zachary, London also has a very large and intricate subway train system that runs underneath it so again you have to take that in to consideration too with large building planning for such a city. Auckland would probably benefit from having the old shoddy and probably leaky apartment block replaced with new well built apartment blocks that could help support a more modern city. It is good design that stops it too. I guess we should define high rise - more than 6 stories (18m)? I don't think high rise buildings are quite right. Medium size 5-6 storey buildings a like Barcelona are more appropriate and palatable. A touch of hyperbole perhaps but not joking, I think the beauty of the global super cities is a critical aspect of their appeal.. I do agree there needs to be some planning and thought into the development of a city, taking into account all the variables, aesthetics, history and geography etc. However we shouldn't fear change. Lets collectively embrace a smart, well thought out solution that gives our younger generations a chance to call Auckland home. You are right on to it Zachary. If we had highrises like Hong Kong, then our population would fit into half of Waiheke Island. We do need to make a beautiful city with beautiful buildings and there is a place for height but it is not in a view shaft - there are SO many other places to build. So get to it, NZ Institute... with all your funders and their $2M, 300m2 plus houses. Build the High rise in the workers villages that will be on the outskirts of the city. Put all the high rise in Te Kauwhata so the rest of us rich kids dont have to see them often (except when they are making us money) . I agree wholeheartedly with the article. The catch with the volcanic sightlines is that pretty much everywhere in Auckland has a view of one of them. I live in Mt Eden and so am of the favoured generation; but would happily have some higher buildings in the vicinity, either a smallish number of very high buildings, or a general lifting of the height level allowable from what seems like two stories to four- similar to London. It is not as though every building will instantly rise to that level. London, the 'capital of the world' as John Lanchester has it, cannot be used as a comparison to anything else. It's suburbs grew out along the Tube lines (infrastructure preceded densification), it's sewers were transformed by Bazalgette after the 'Great Stink' of 1859 (infrastructure precedes densi...) and it has existed at a natural crossing-place of the Thames for two millenia. It's high time that we all broke out of the ridiculous stranglehold the Brit Town and Country Plannerista have on city form. Zoning, in its most general form (that of imposing halal and haram uses on space, height etc) , causes Commuting, raises build and land costs, and needs to be taken off to a quiet paddock (one with a pre-dug offal pit), and ceremoniously executed. The RMA, with its emphasis on Effects (nowhere mentioning spatial zoning) can adequately control contiguous but incompatible uses, such as abattoirs upstream of water intakes, rock venues next to retirement villages (although, as a Gold Card holder meself, perhaps that should get the Big Tick?) and so on. There has been enough discussion. Time for action. For the children....of course. Auckland is one of the worlds great natural sites. Now you people want to stuff that up completely. Using "the young people" in this article is dishonest. You need to think out a few hundred years. Just get a grip. I have it on good authority there will be 8 million people in Auckland. If we don't stack them up where the hell will we put them ? Hopefully the sewerage system is up to it, we already pour raw sewerage into the upper Waitemata Harbour when it rains. What exactly are you suggesting? Turn our backs on "the young people" and the future generations? "Sorry there is no room at the Inn. Try down the road"
Tall buildings don't necessarily destroy that. I love the view of the city when I drive in from the north shore. If it was all 1 storey buildings it would look rather boring. I doubt Auckland would ever have to population to support significant numbers of high rise buildings so it won't exactly change that much. Nothing particularly novel in this article. Yes, Auckland needs high rises in strategic locations. In the CBD and metro centres. But they need to be enabled judiciously. And its the dense 2-3 storey housing that is best able to realise affordability in terms of intensification. The former was happening because* modern economies are increasingly being dominated by the service sector*, which tends to value inner city proximity. My North Shore 1160m2 flat section is rated large section under the Unitary Plan. So no high rises where I live, Yay. This will be prime living land in 20 years time when high rises stuff up areas in central Auckland. I can think of nothing better than the luvvies who vote Green in Ponsonby getting horrible high rises that block the sun at 2pm on a cold winters day in their uninsulated villas.